Hi everyone Dr. Kenny here, and in this post today I’m going to give you four cool and refreshing recipes. I am going to give you the recipes for doc’s salad, chop chop salad, spicy fruit salad and Great Grand-Mom Verdi’s Salad. With the high temperatures of the past few days I thought it would be nice to post a few recipes that are light and refreshing and will fill your tummy and satisfy your appetite and cravings. If this is the first time visiting our website and you would like more information about our medical weight loss program call and schedule your free weight loss consultation. Call 215-821-7336 and Lisa will schedule your free weight loss consultation. 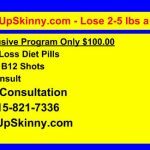 In our program we use the best appetite suppressant medications, weight loss pills and diet pills with Vitamin B12 injection therapy and diet and exercise plans for fast, safe and effective weight loss. Let’s start this great recipe by first marinating the mushrooms in the olive oil, maple syrup and vinegar for approximately one hour. Next mix the bell peppers, lettuce, tomatoes, scallions and corn in a very large bowl. Mix everything together well. Divide the mixture onto 4 – 6 plates and just sprinkle all the chopped mushrooms over top. Just mix all the ingredients into a large bowl, toss well and serve with any dressing of your choice. Now combine all the ingredients into a bowl and toss well. Serve with your favorite dressing. For help losing weight just call 215-821-7336 and schedule your free consultation. This entry was posted in Diet Doctors in Philadelphia, Medical Weight Loss, Medical Weight Loss in Philadelphia PA, Medical Weight Loss Philadelphia, Weight Loss, weight loss philadelphia and tagged Medical Weight Loss Philadelphia, weight loss philadelphia on July 15, 2017 by Dr. Michael Kenny.